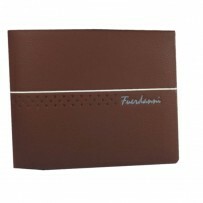 Matras Men’s Leather Wallet 1986 Artificial leather for Men Two Money Slots Two ID Card Slots Two Bank Card Slots. Matras Artificial leather Wallet for Men Color: Pure Black Others: Two Money Slots. Two ID Card Slots. Two Bank Card Slots.